August 18, 2016 – The Howard Hanna Real Estate Services’ annual children’s free care fundraising campaign is kicking off its 2016 season of events. 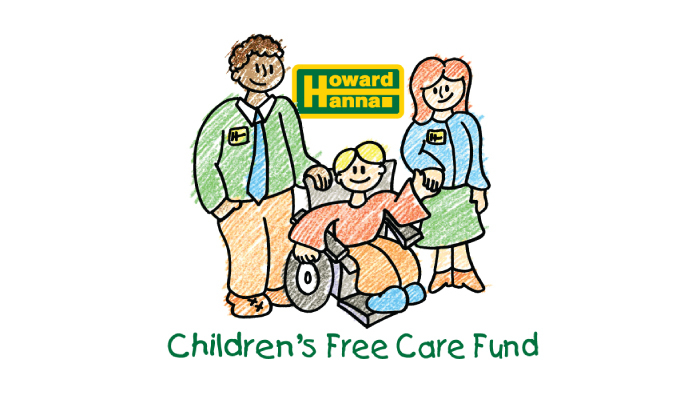 This marks Howard Hanna’s 29th annual fundraising campaign for Free Care Funds at children’s hospitals. Free Care Funds assure that children never be denied the best medical care available, whether helping children without healthcare pay for treatment or to fund cutting-edge care that insurance may not cover. The company began its campaign for children in 1988 with each Howard Hanna office having a Choo Choo Chow Chow luncheon during the holidays; agents and managers made the food and invited clients, friends, family and the community to attend. The luncheons rotated from office to office like a Choo Choo train making stops. As the company grew the Chow Chows grew and now most are held at different places in the office’s market area such as hotels, country clubs, wineries, restaurants, banquet halls and community centers that are unique and/or can accommodate a large number of people. In addition to helping tens of thousands of home buyers and sellers every year, Howard Hanna agents and employees, along with the Hanna family, work tirelessly on the annual Chow Chow events with CEO Howard W. “Hoddy” Hanna, III personally chairing the drive. Thanks to the support of the community and to local businesses that sponsor the Chow Chow events and/or donate auction items, Howard Hanna has raised and donated more than $10 million to children’s hospitals and related programs/activities in the markets the company serves including Hamot Health Foundation (Erie), Shriners Children’s Hospital of Erie, Hershey Medical Center Children’s Hospital, Pinnacle Health (Harrisburg), University Hospital Rainbow Babies and Children’s Hospital (Cleveland), Cleveland Clinic Children’s Hospital, MetroHealth (Cleveland), C.S. Mott Children’s Hospital (Ann Arbor), Nationwide Children’s Hospital (Columbus) and Children’s Hospital of the King’s Daughters (Norfolk). To attend a Chow Chow near you, the list of events can be found on HowardHanna.com/Childrens-Free-Care-Fund and on the Howard Hanna Children’s Free Care Fund Facebook page facebook.com/HowardHannaChildrensFreeCareFund. Howard Hanna Real Estate Services is the #1 real estate company in Pennsylvania, Ohio and New York, and ranks as one of the three largest real estate companies in the United States. The family-owned and operated company specializes in residential and commercial brokerage service, mortgages, closing and title insurance, land development, appraisal, insurance, corporate relocation and property management services. With 270 offices across PA, OH, NY, VA, MI, WV, NC and MD our more than 9,000 sales associates and employees are guided by a spirit of integrity in all aspects of the real estate process.